USTA Southern is hosting Fast4 tournaments throughout the South in fall and winter 2018. 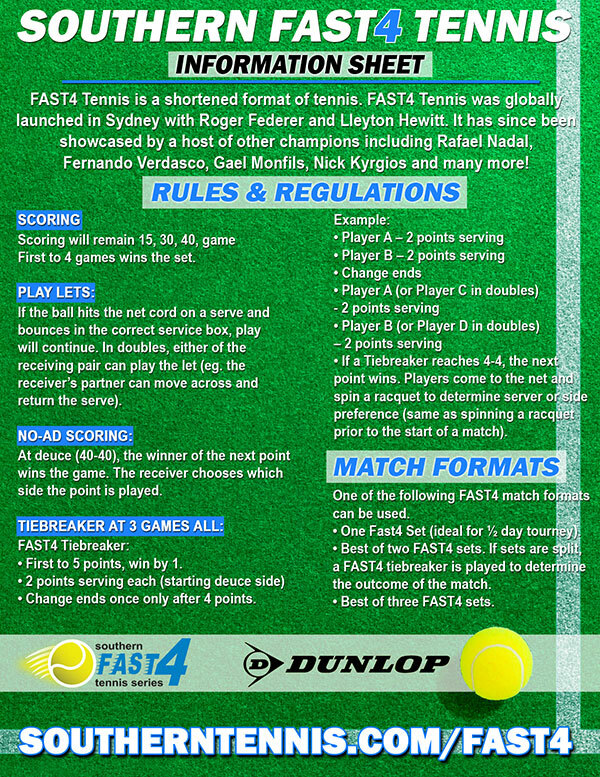 Fast 4 tiebreaks are played at three games all. The first to four games wins the set. Best 2-out-of-3 Fast4 sets will be used with a Fast4 tiebreak in lieu of the third set. Click here for info about our 2018 Fast4 Championships.